Crackling logs, the smell of canvas, charcoal-like marshmallows burning your fingers… camping is pretty great, isn’t it? If the weather’s looking on the clement side and you’re itching to run for the hills and set up a tent in the wilderness, here’s a handy camping packing list of all the essentials you need to stay warm and dry. Plus whisky. Don’t forget the whisky. Bung this lot in the boot and you’ll be ready to face the elements.Tent: I like cheap and cheerful pop-up tents as they’re a doddle to set up. Taking them down is hell on earth, but that’s a problem for your future self. Groundsheet: Will keep you warm and dry. Sleeping mat: Or a yoga mat will do at a pinch. Sleeping bag: Get all up in some padded quilted stuff. Torch or lantern: Hang a torch from the roof of your tent – instant lantern! Also useful for sharing terrifying ghost stories at 3am. Warm clothes: Cuddly jumpers, hoodies and waterproofs for fireside storytelling. Wellies: I don’t think I’ve ever made a list that didn’t include wellingtons. Kitchen roll: Sturdier than loo paper, doubles up as wet wipes. Towel: Essential after inevitable tipsy midnight river-dipping. Matches or a lighter: Better than twiddling some sticks together. 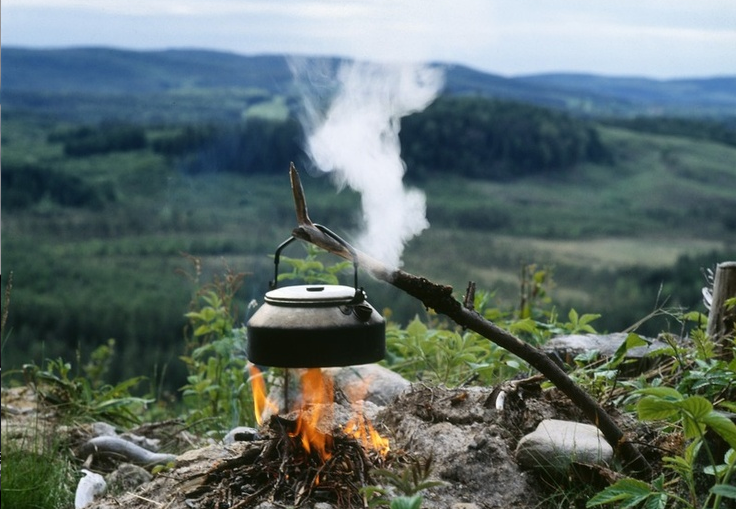 Camping kettle: Boil up water for your precious cup-a-soups. Pans: Two will do, with frequent washing. Cutlery: Take a sturdy knife and washable plastic camping cutlery. Tin cups and plates: Sturdy tin will withstand rough treatment. Washing up liquid and bucket: Give everything a spring clean. 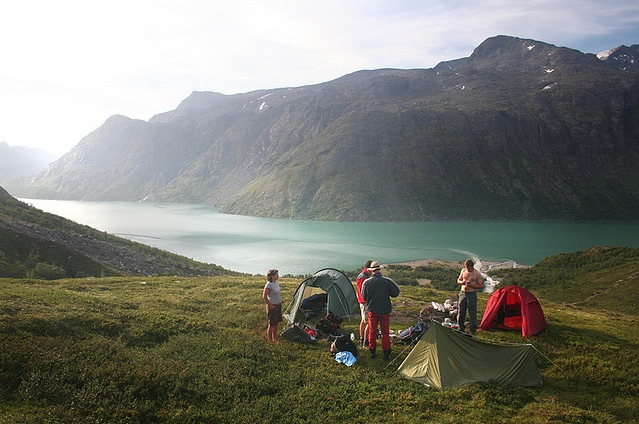 Bin bags: Leave no trace, happy campers! Plus, you can use binbags to make a shower. Sleeping under the stars doesn’t have to mean roughing it. A few naughty extras will make all the difference. Hot water bottle: Since it’s not actually that warm yet, is it? Whisky: At least as comforting as the above. 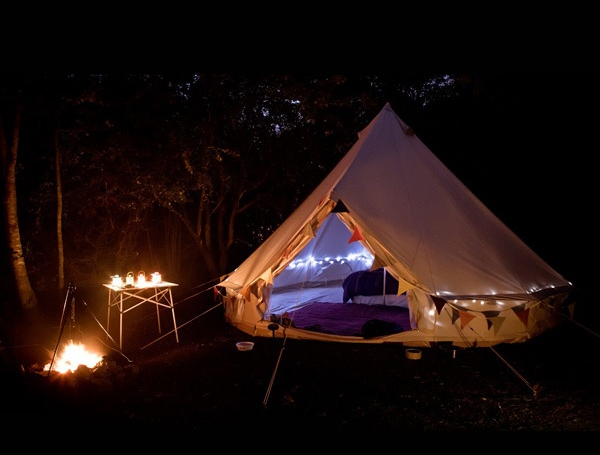 Battery-operated fairy lights: Add a touch of glamp to your camp. Citronella candles: Will keep mosquitoes at bay. Proper ground coffee: For bleary early mornings. Heat up the kettle and use individual filters in tin mugs. Marshmallows: What’s the point of a campfire, otherwise? Off to a festival? You need my ultimate festival packing checklist.